The main objective of this project, funded by The Swedish Research Council (Vetenskapsrådet), is to study lime plasters used for wall decoration and, if possible, to find a clear relation between typology and stratigraphy. Decorated and un-decorated plaster layers are investigated. The project, approved by the Soprintendenza Archeologica di Pompeii, started in 2002 at insula I 9 in collaboration with the British School at Rome and was extended to the Forum of Pompeii in 2004 in collaboration with the University of Virginia, USA. Towards the end of the period when eight groups of plasters chronologically named A-H had been identified, I came across plasters of a different type, found at structures that supposedly belong to the archaic period of Pompeii below the Temple of Venus and below the House of the Centaur. At the same time I discovered variations within the earliest group of plasters that needed to be explained. In the present project, plasters of the early phase in insula VI and insula VII are at focus, in collaboration with the archaeological teams of the Universities of Perugia and Napoli L’Orientale, where excavations are performed also below the floor level of AD 79. Collaboration during this period comprehends the archaeological teams at the Universities of Stockholm and Helsingfors. The consistency of my method will be tested in an unprejudiced investigation of available samples in the big bank of plasters sampled at six houses at insula V 1 (University of Stockholm) where standing structures and decoration phases are thoroughly documented. Samples from all buildings mentioned above will be observed under the microscope and the result used to corroborate or falsify the conclusions regarding previously established plaster groups A-H. Laboratory analyses such as petrograpical and chemical investigations of selected samples are performed at CNR/ICVBC (Consiglio Nazionale delle Ricerche/Istituto per la Conservazione e la Valorizzazione dei Beni Culturali) in Florence. Lime plasters were used at Pompeii as preparations for wall decorations at least from the Hellenistic period. The term plaster indicates a mixture of slaked lime, filler that is usually sand, and water. Fillers at Pompeii consist almost exclusively of volcanic matter. The composition of volcanic matter depends on the process of the volcano’s eruption at each specific time. Variations in the fillers therefore are most likely related to the gravel pit from where it was brought. The limes’ appearance varies in colour from white to yellowish or greyish, which may be explained as due to the type of stone that was used to produce it. It can be smooth or contain of lumps of lime, which can be ascribed to the process in burning and slaking it. The quality of the plaster can be the result of the way it was handled during application or by later circumstances at the archaeological site. Technically, plastering is made according to a well known principle. The first application on the wall is made with a rough plaster with a filler of large grain size, and the following layers are successively finer. The last layer in ancient Roman plastering was made of a mixture of lime and crushed marble, which was compacted to become shell-like and thereby watertight. Paint consisting of pigments dissolved in water or lime-water was applied on the still wet surface, al fresco, thereby integrating with the top layer. As the surface had dried, painting could continue a secco. Then a binder had to be mixed into the paint. The preparations could be complex and made in as many as seven layers as explained by Vitruvius, or simply made in two or three applications. Considering these factors, plasters and wall paintings contain a lot of information regarding technology, craftsmanship, economy and tradition. The research methods used in the present project are related to archaeology, art history, and the humanistic field at large but also to the natural sciences and technology. Investigations in situ are made in collaboration with archaeologists while chemical and petrographic analyses are performed by scientists. My main job is to study plaster layers, taking samples and studying these under the stereomicroscope in the method invented by conservator Reinhard Meyer-Graft, and to document each step according to strict principles. Another task is to study the decorations from various points of views, such as stylistic and technological data as well as their actual state of preservation. Analyses of standing structures linked with analysis of style/styles are the usual methods of dating walls and decorated wall surfaces. Many decorations have disappeared. They either are gradually fading away or falling, since they are mostly unprotected to rain, wind and sunshine. Decorated plaster layers detach from the walls and fall to the ground and in the end the paintings as artistic and material documents disappear. Often there are just small remains of plastered areas in a room. As long as the painted decoration is visible, stylistic criteria can be applied for understanding the decoration and for dating it, and to provide information about the taste, cultural and economic status of the owner. When the paintings are lost, other methods may be used, and this kind of plaster study is an alternative. The fact that buildings in many quarters are included in this international project presents a unique possibility to test the method over the site of Pompeii. Pompeian Plasters. Insula I 9 and Forum. The Swedish Institute in Rome, February 2006. Three project reports and one publication concern the first part of the project. These are available at the Swedish Institute in Rome, the British School at Rome, the University of Virginia, the Soprintendenza Archeologica di Pompeii, CNR/ICVBC in Florence and at Vetenskapsrådet, Stockholm. 2004. Report on Pompeian Plasters. 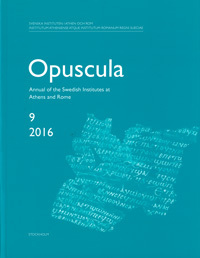 Insula I 9. 2004. Report on Pompeian Plasters. Forum. 2011. Reports available at the Swedish institute: V 1, 7 Casa del Torello. Plasters and Phases; V 1, 23 House of Caecilius Iucundus, Taberna 24b. Plasters and the Brick Repair; VI, 2, 14 Casa delle Amazzoni. Plasters and Phases; VI 5, 5 Casa del Granduca Michele. Plasters and Phases; VI 9, 3-5 Casa del Centauro. Plasters and Phases; VII 15, 1-2 Casa del Marinaio. Plasters and Phases; IX 3, 5 Casa di Marco Lucrezio and IX 3 24 Casa e panificio di Papirus Sabinus. Plasters and Phases. Freccero, Agneta, Roman Painting. Wall paintings, Fayum Portraits and Polychrome Statuary. Conservation, materials and contexts. Doctoral dissertation, Göteborg University,2001. Freccero, Agneta, Encausto and Ganosis. Beeswax as paint and coating during the Roman era and its applicability in modern art, craft and conservation. Acta Universitatis Gothoburgensis, 9, 2002. Freccero, Agneta, Pompeian Plasters. Insula I 9 and Forum, Rome 2005. 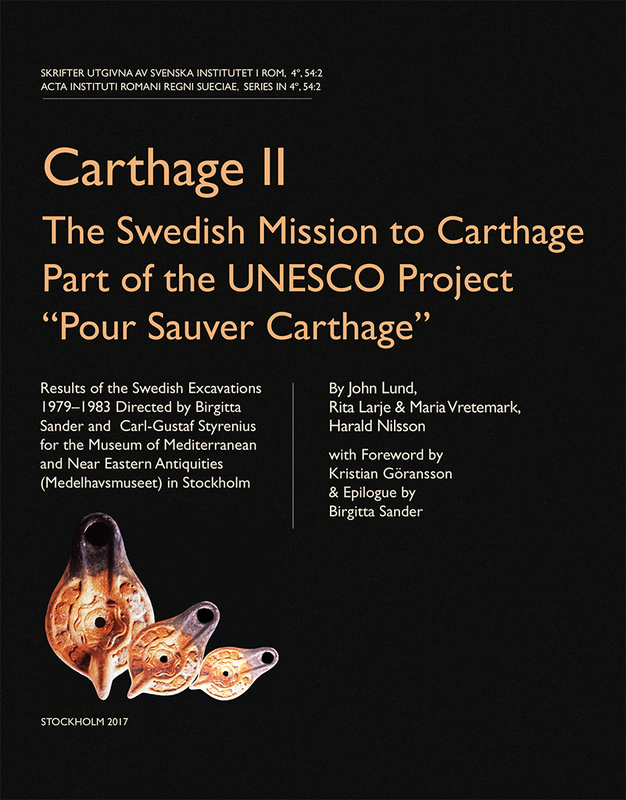 Also published on line in the Swedish Institute’s series Projects and Seminars. 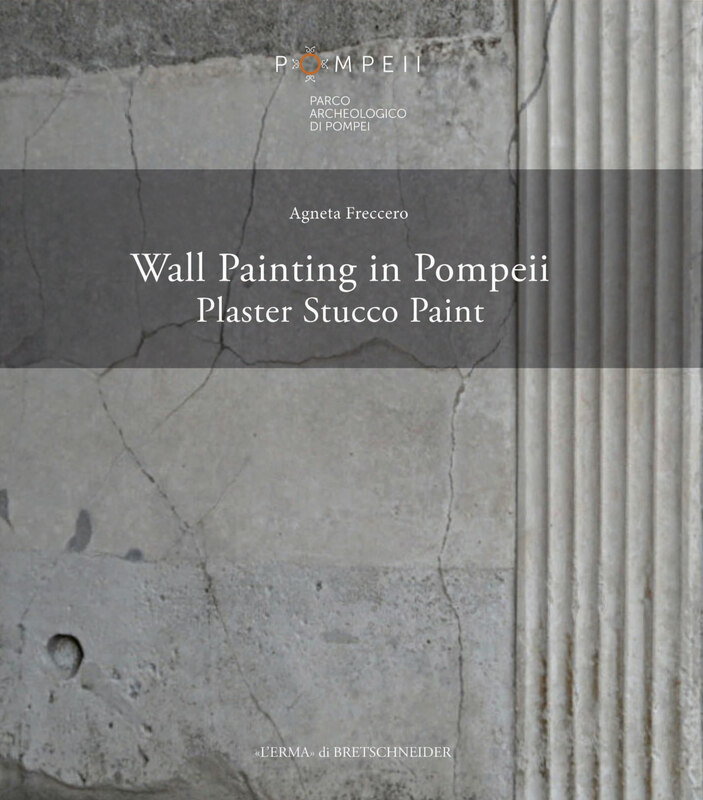 Freccero, Agneta, "Pompeian Plasters", in Quaderni di studi pompeiani 1, 2007, 115-126.